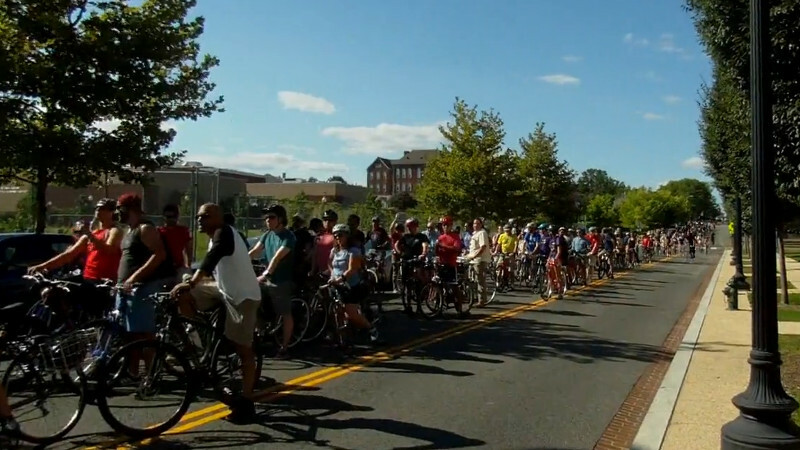 On the 5th of August, the DC Bike Party tried something new: a daytime ride on Saturday departing shortly after 4PM to a DC United soccer game. 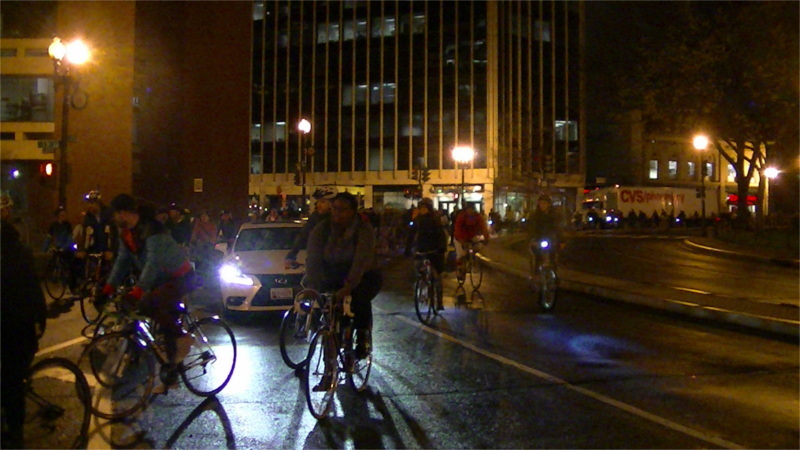 Turnout was reduced due to the unusual time but even a small DC Bike Party still takes up several blocks at a time of streets filled entirely with bikes. 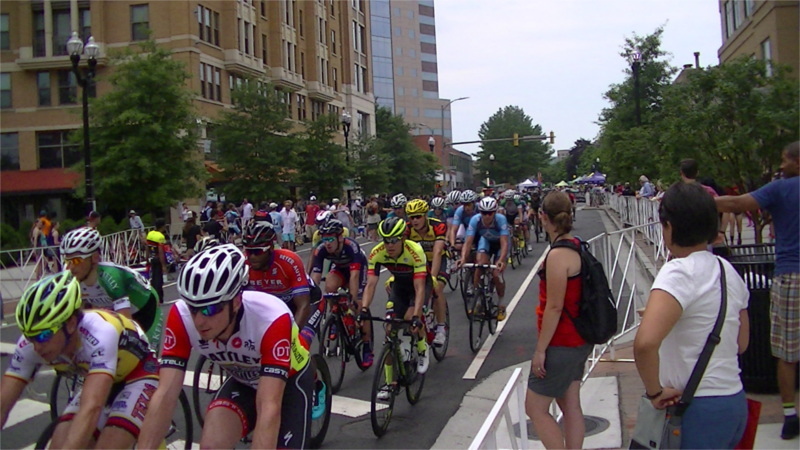 On the 11th of June, the Clarendon Cup bicycle race returned to the streets of Arlington, VA. 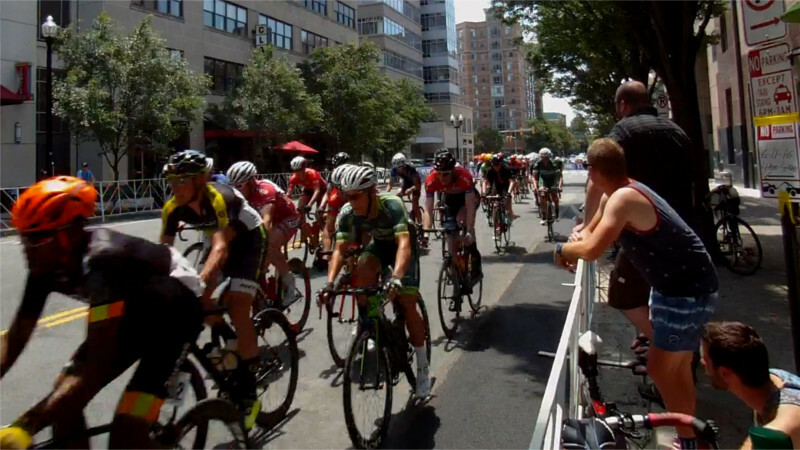 This particular running was unusual in that a large team breakaway got away very early and lapped the field while the race was less than half over. As the race continued smaller breaks-and a solo rider-managed to escape the main peleton and lap the field themselves, thus getting back into contention and preventing the race from being effectively over. All the winners were from these breaks, with a team sponsored by United Health Care sweeping the podiums. On the 24th of March, the cherry blossoms were in full bloom at Haines Point. This is always a popular area for bike racers to take training rides, some of them were really pouring on the power. 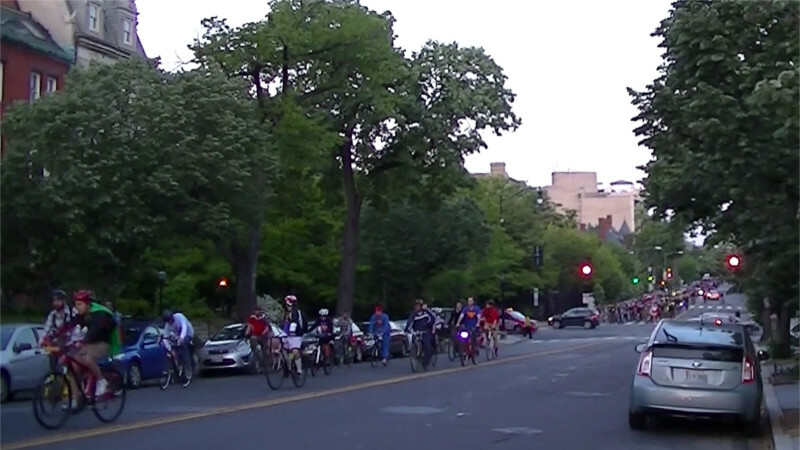 On the 13th of May, hundreds of cyclists took over the streets for the second DC Bike Party of 2015. 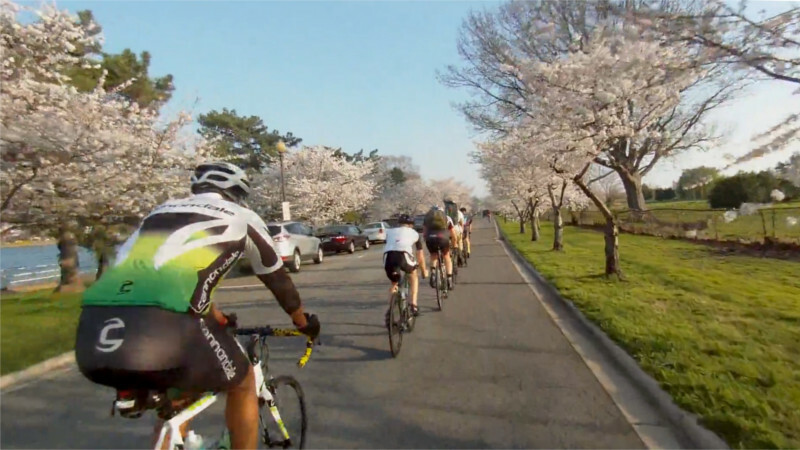 The DC Bike Party departs from Dupont Circle at 8PM sharp on the second Tuesday of the month during the warmer months of the year. 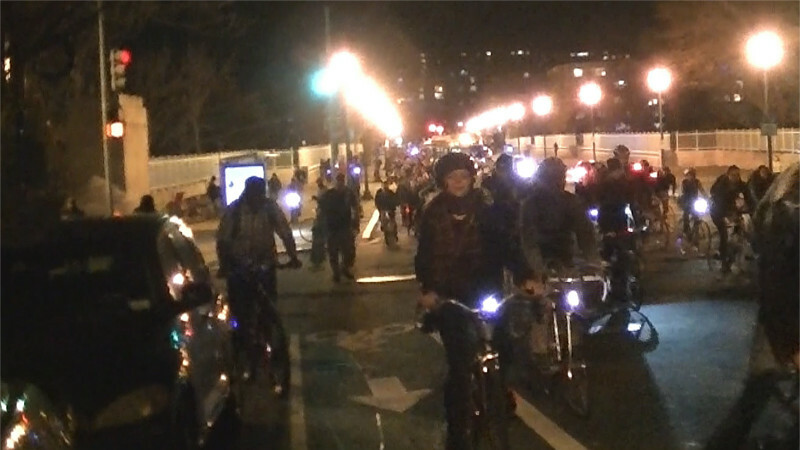 DC Bike Parties can draw as many as 600 riders. On the 26th of June, a huge, mostly white crowd gathered in Dupont Circle to watch the US team lose to Germany in the World Cup. These Eviction Games were made possible by tens of thousands of evictions of favela residents in Rio and tens of thousands more in the rest of the country. The next Eviction Games in Brazil are the Olympics, and here in DC the rich want both the Olympics in 2024 and the evictions. 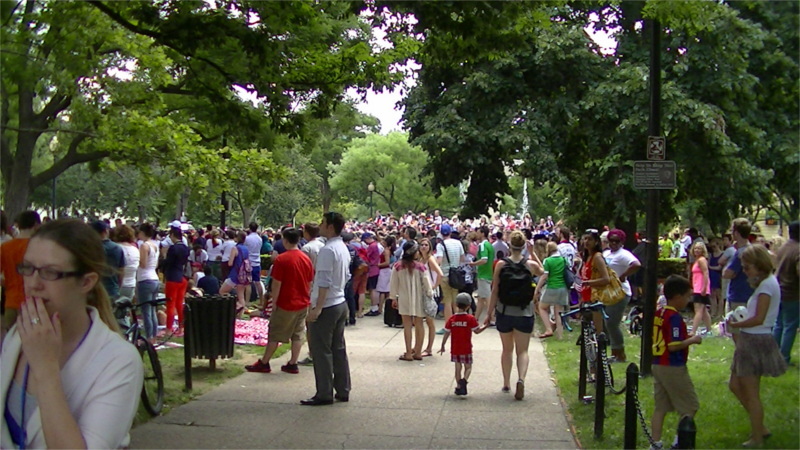 Read more about Thousands gather in Dupont Circle to watch World Cup "Eviction Games"